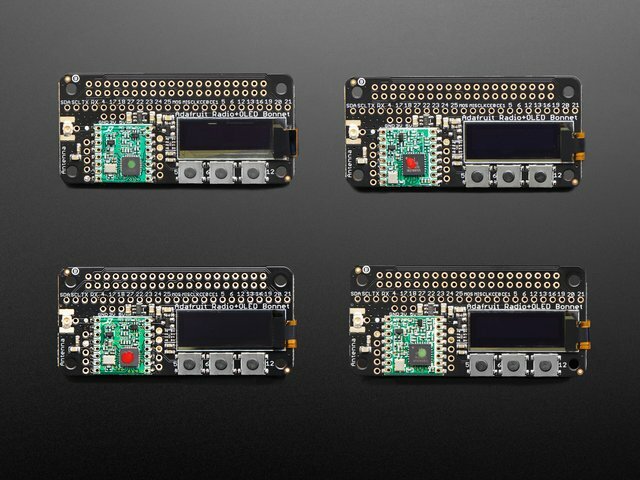 The latest Raspberry Pi computers come with WiFi and Bluetooth, and now you can add even more radio options with the Adafruit Radio Bonnets! 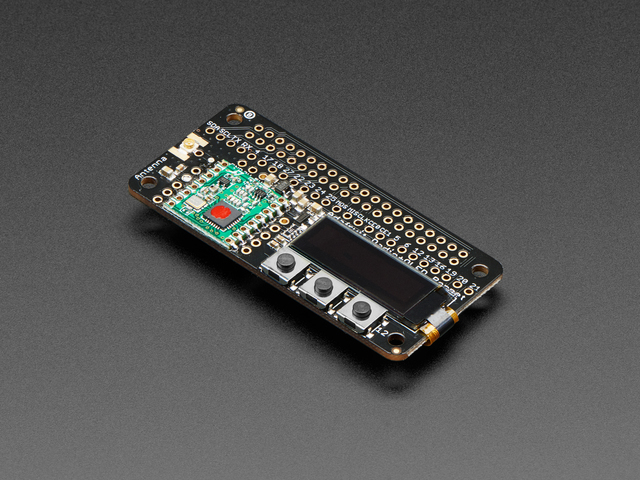 Upgrade your Raspberry Pi with a radio so it can communicate over very long distances. These bonnets plug right into your Pi and give you long range wireless capabilities to remote nodes that may be battery powered. Or, you can create Internet gateways with ease. You not only get a radio module, but also a 128x32 OLED display for status messages and three buttons you can use for creating a custom user interface or sending test messages. All of the above is supported with our Python libraries so you can send or receive radio data with other matching modules. 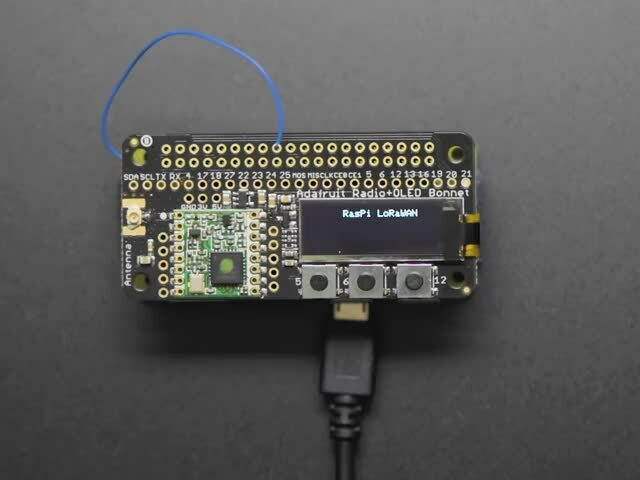 With the LoRa Radio Bonnet, you send data to a LoRaWAN gateway, or even set up your own single channel LoRaWAN-to-Internet gateways. Compared to the 2.4 GHz WiFi/Bluetooth radios on the Pi already, these modules run at 433 or 900 MHz (sub-GHz). You can't send data as fast but you can send data a lot farther. 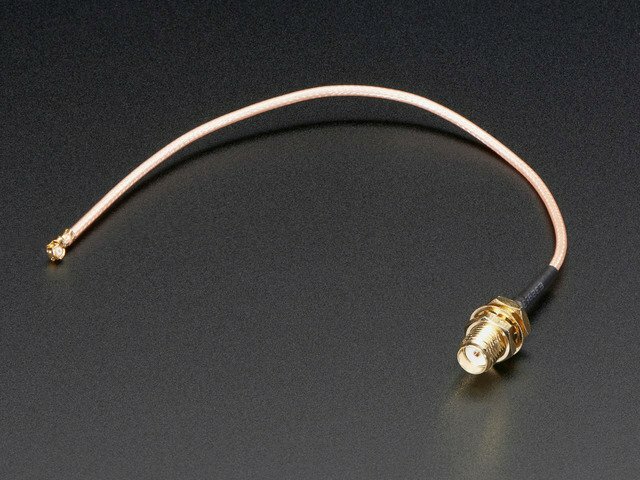 These packet radios are simpler than WiFi or BLE, you don't have to associate, pair, scan, or worry about connections. All you do is send data whenever you like, and any other modules tuned to that same frequency (and, with the same encryption key) will receive. The receiver can then send a reply back. The modules do packetization, error correction and can also auto-retransmit so its not like you have worry about everything but less power is wasted on maintaining a link or pairing. This guide was first published on Jan 23, 2019. It was last updated on Jan 23, 2019. This page (Overview) was last updated on Apr 26, 2019.